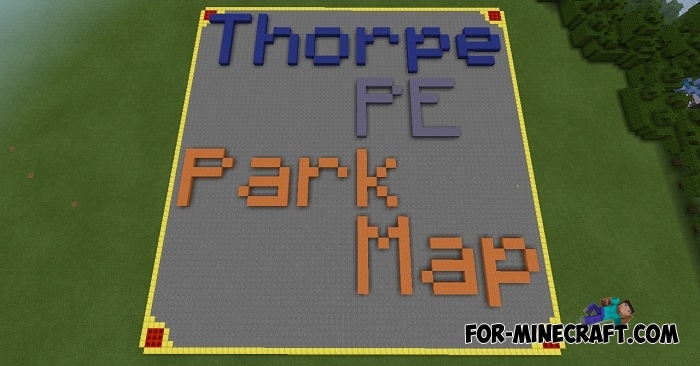 Thorpe Park consists of a large number of attractions, souvenir shops and cafes. 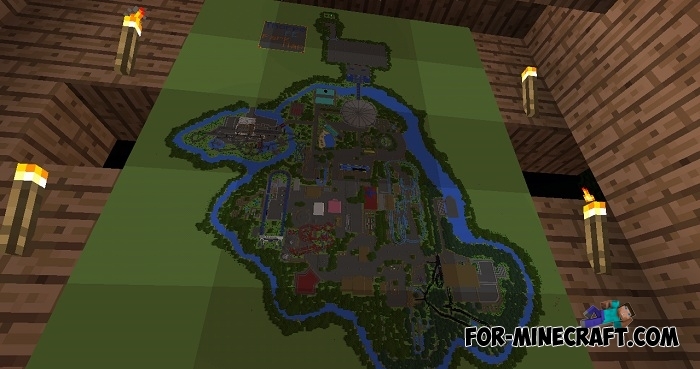 This map can be used both on servers and in a single game. 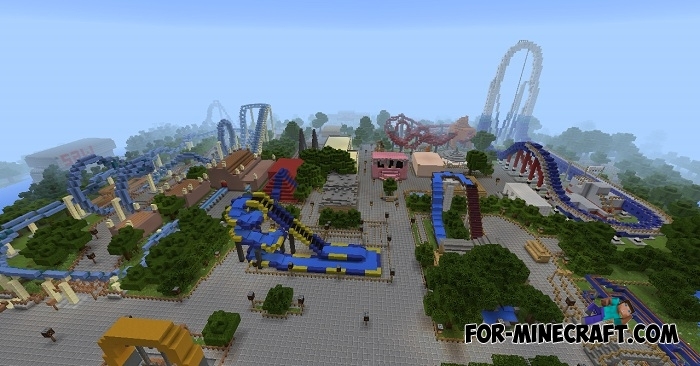 There are some attractions designed for competitions of several players, as well as extreme slides and descents from a height. 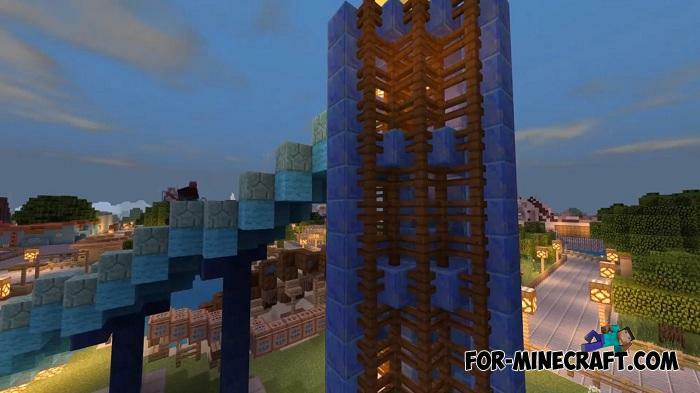 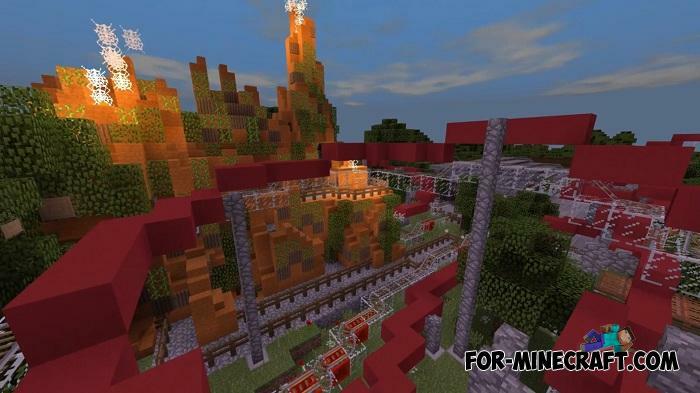 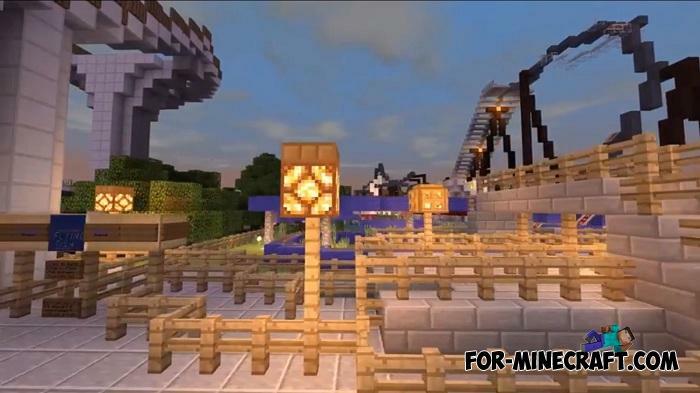 The park includes more than 30 different mechanisms based on rails and minecarts. 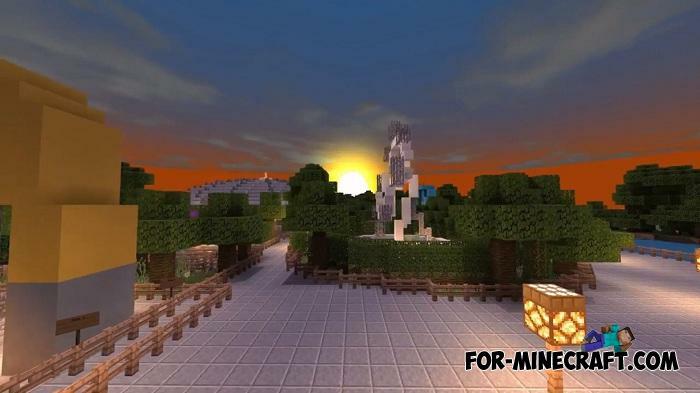 The map is built in a flat world, your device will work faster because of this. 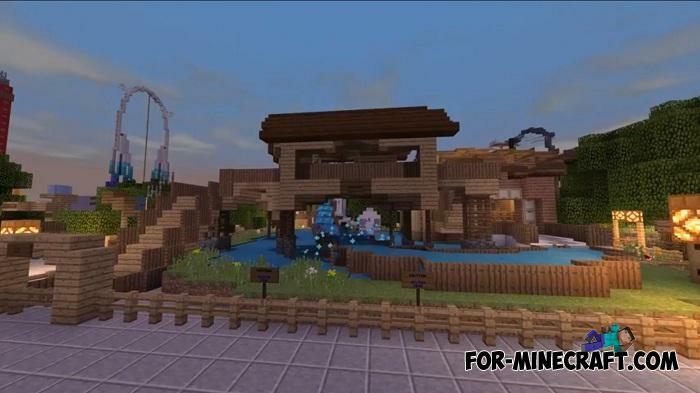 In addition, there is still a lot of space for other buildings, where you can build something of your own. 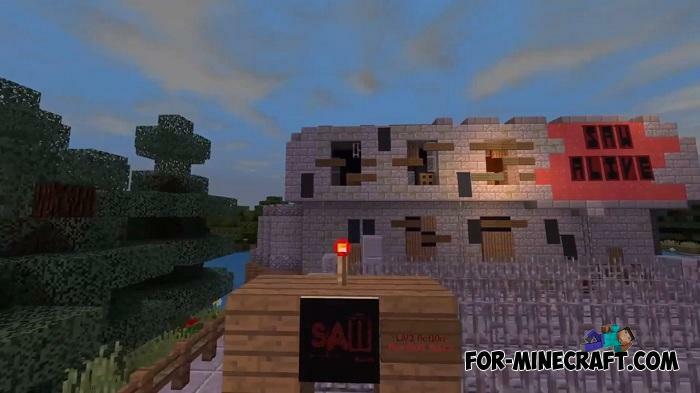 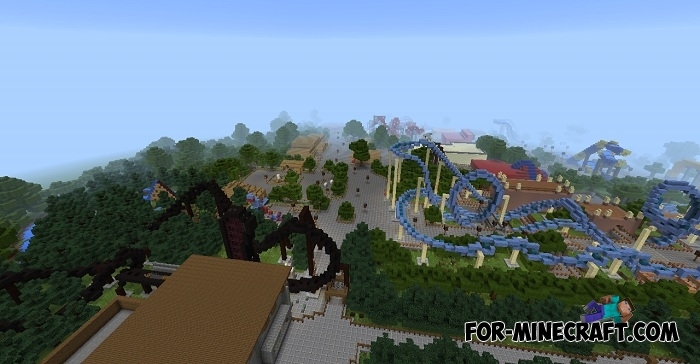 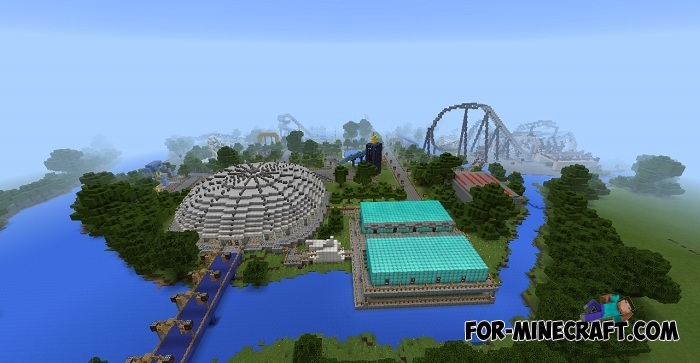 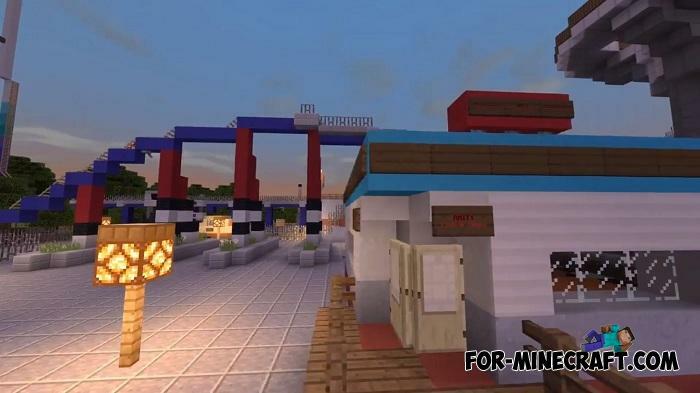 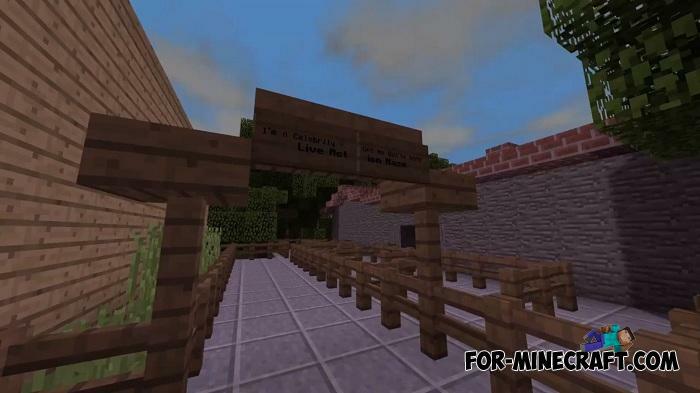 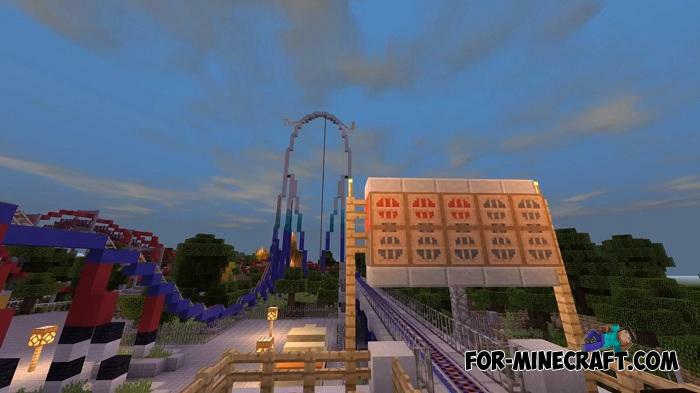 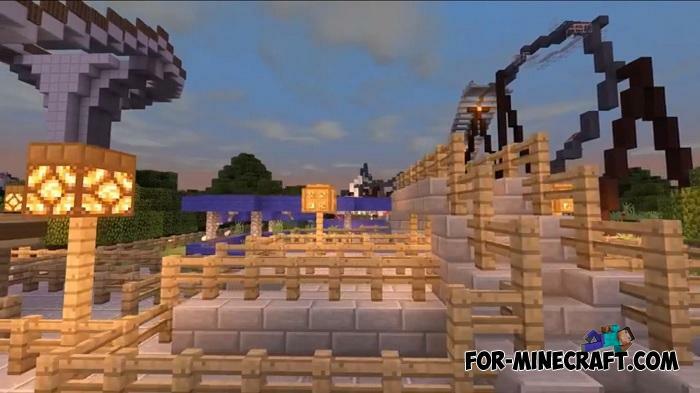 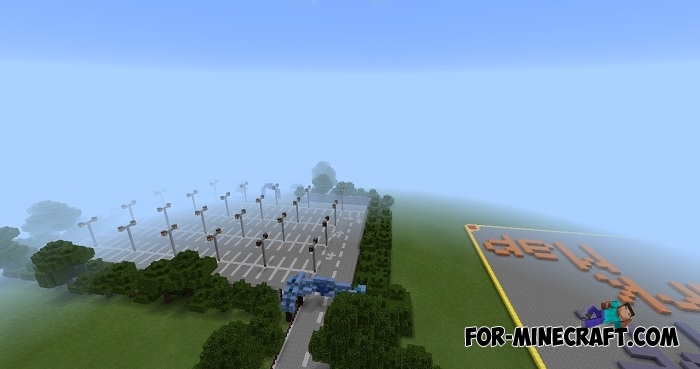 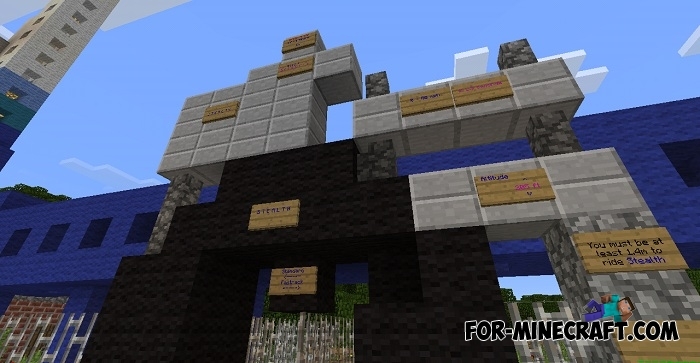 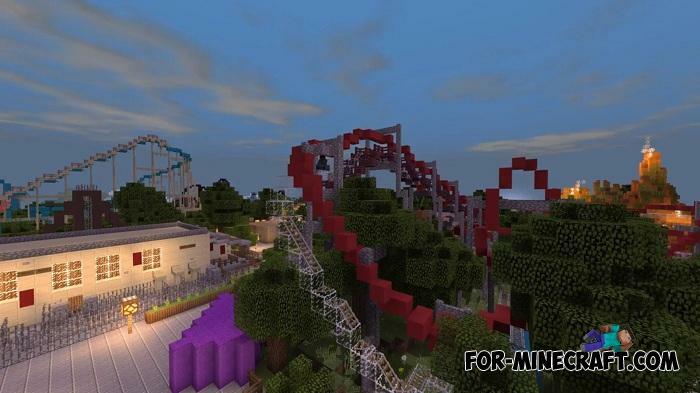 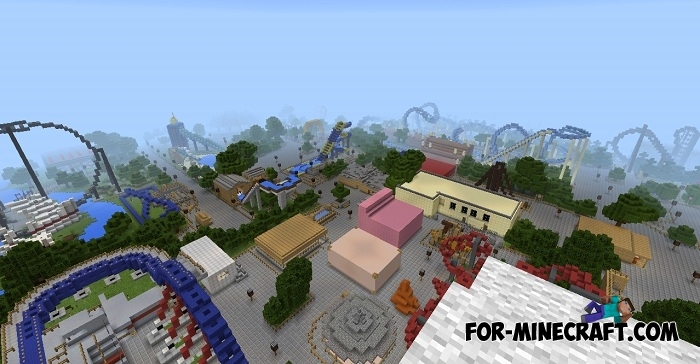 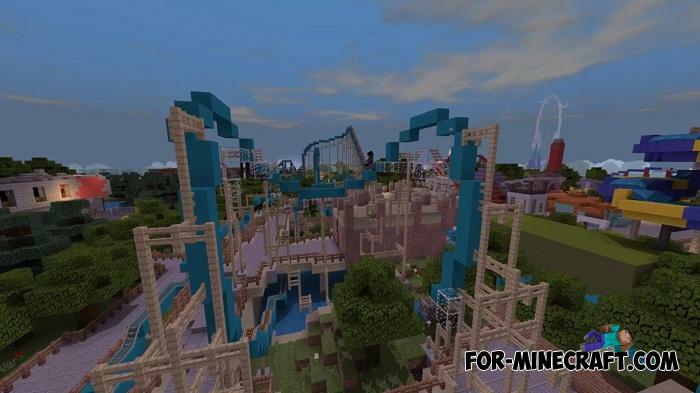 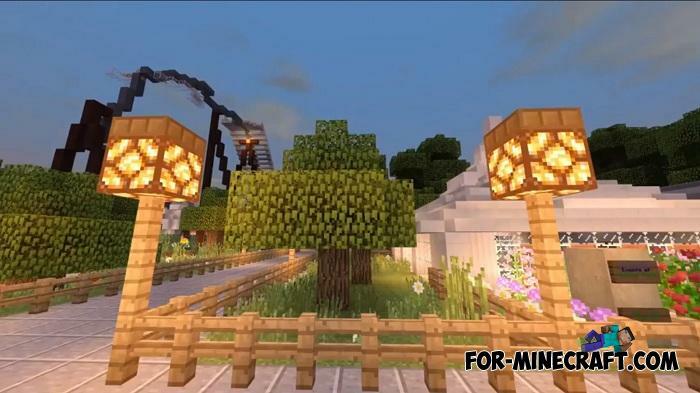 Keep in mind, the Thorpe Park can only work on the latest versions of Minecraft PE. 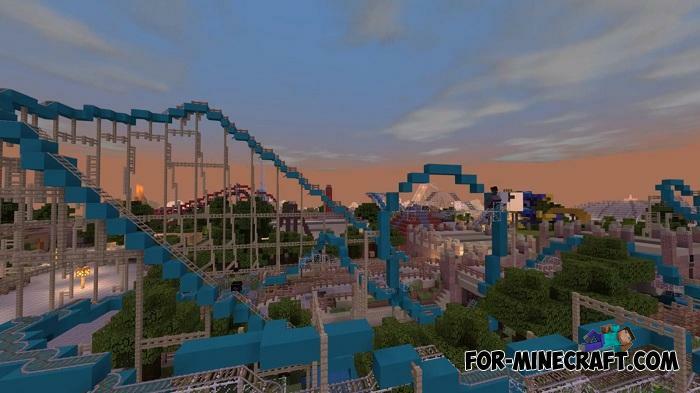 This doesn't have 1 working roller coaster.